How To Sell Your House in Salt Lake City Without ANY Hassle! 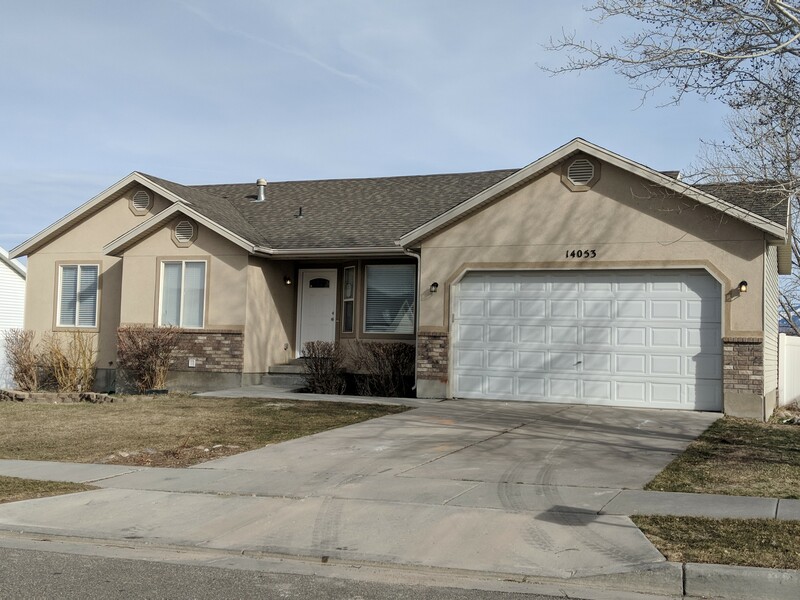 We bought this Riverton UT house from a seller in Las Vegas we never met. For many people, the thought of selling their home can seem like a lot of work accompanied by a long list of expenses. It might seem even more overwhelming if the property is in disarray or needs repair. However, it doesn’t have to be that way! In our latest post, we will explore the ways you can sell your house in Salt Lake City without any hassle whatsoever! Simple & Easy! At Gary Buys Houses, we are always here to answer your questions. When selling a house in Salt Lake City, most people go right to thinking about hiring a licensed real estate agent and listing the property on the local MLS. This is a great solution for many people which we usually discuss with people when we talk to them; however, you should know there are other options available to you. There are many ways to sell a Salt Lake City house! Consider your options to discover which selling method is right for you and your situation in Utah! We will talk to you about ALL of your options when you call us. A program such as our Sell Now Move Later program will allow people to sell a house NOW, receive the money from the sale NOW, stay in the house rent free, and move LATER. Most of our clients take advantage of this program. Did you inherit a house? We can help with estate sale and probate issues and often times pay for these services to be done. Many times repairs are a motivating factor people consider when selling a house. Never worry about making repairs or doing any cleaning when selling a house to a professional house buying company. We are foreclosure experts that use only licensed professionals to solve foreclosure issues. We work with people that want to KEEP their house or SELL their house, and we can offer foreclosure solutions beyond bankruptcy and loan modification as options to keep your house. We have the best terms in the business…I guarantee it. There are many other situations we can help people with such as rental properties gone bad, vacant houses, medical bills, divorce, meth contaminated houses or land with out a house. Check out our house buying services page for more information. Direct house sales are becoming increasingly popular, however, not all buyers are the same. There are more and more new investors starting up along the Wasatch Front area then ever before. Do you really want to work with a brand new inexperienced investor? Make sure you do your homework on both the local market and the buyer you are working with. A direct sale may not offer full price, but for some people, the amount saved on repairs and wasted time more than makes up for the difference in price. Professional house buying companies are not right for everyone, so let’s look at some other options. Again, we will review all of these options with you when you call or meet with us. Of course, listing your Salt Lake City house is an option for most sellers. Take the time to learn about everything that is involved and what will be expected of you. No two agents work exactly the same and there are no guarantees of the amount of $ you will net once your house is listed or how long it will take to close. Your property can be listed for any price, but there is no guarantee you will receive it. Watch out for agents who try to “wow” you with a high listing price. If your house is priced too high, the house will likely sit on the market, possibly for months at a time EVEN in a hot seller’s market. You will inevitably have to lower the price, while your property shows more and more “Days on Market” on the MLS. If you decide to list, make sure your agent prices your home to sell. Not just setting a high price to convince you to sign a listing agreement. Today, there are many options when selling your house with a licensed real estate agent when deciding on which agency to go with. Just like with all the new and non experienced “real estate investors” that are entering the market, many new real estate agents enter the market every month. If you are going to list, research who you list with thoroughly. There is also the choice of using a full service agency or FSBO (for sale by owner) service. You will need to decide how much work you want to do vs how much work the agency you go with does. Another option is seller financing which might be perfect for you if you want monthly income and probably a higher sales price. Seller finance can be a great alternative if you are selling a rental property and want some money now and monthly income going forward, for example. Offering seller financing on a house can increase your sales price while providing cash now AND monthly income. This can work for house sellers who don’t need all of the cash from the sale of their home immediately. You can decide to carry the mortgage (sometimes called a note or just seller financing) or setting up a “rent-to-own” structure. There are so many options when you offer seller financing. It doesn’t matter if you have a mortgage on the property or your property is free and clear, this option can be a great option for some people. Here are some very brief highlights. It is safe. A licensed 3rd party will typically receive the payments from the buyer and disburse to the seller. A seller will usually require a 3 to 6 month deposit equal to 3 to 6 monthly payments. This way if the buyers stops making payments, the payments will not stop going to the seller during the time the issue is resolved. Seller financing is a great option for people that want a chunk of money now (the down payment) and monthly income (the payment they receive) from a rental property they want to sell or for people in a foreclosure situation where there is very little equity. Sellers can remain on title or not remain on title to the house. Seller financing should not be a scary option to consider; It really depends what your needs are. Such as, what will you do with your money if you take all of your sales proceeds the day you sell your property? Can you put that money to work or do you need monthly income? Often times a buyer using seller financing will pay interest rates much higher than the going rates which will increase your monthly income. Seller financing can also be used to spread out your capital gains if that applies. Please ask your tax professional. We will be happy to answer your questions and compare seller financing to other options you have to sell your house. Please call us today at 801-382-9199. If selling your house simply isn’t an option for you now, there are other options. You can rent the house out as either a short or long term rental. The trouble with this is finding great tenants and retaining them for as long as possible. Renters can be quite nomadic, and tenant turnover can cost you dearly. If you haven’t done this in the past, consider hiring a local property manager to help you keep everything in order. Make sure the property manager will inspect the house at least twice a year. Do you want to sell your house in Salt Lake City? Do you want to just ask some questions?